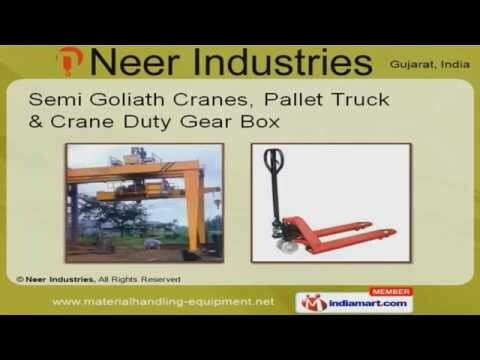 Welcome to Neer Industries Manufacturer & Exporter of Material Handling Equipments. The company was established in 2007 at Ahmedabad. We cater to Steel, Cement, Pharmaceuticals &other industries across Middle East & East Asia. We are well known in the market for our assured quality, reasonable prices, large production capacity, maximum client satisfaction & expert workforce. 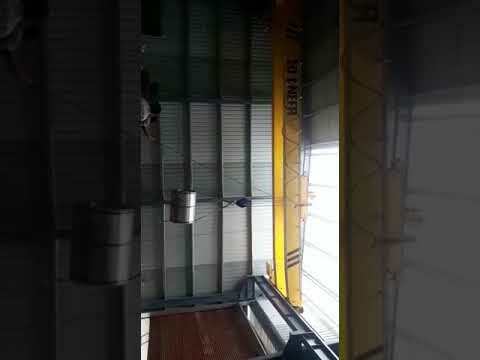 Our product list includes HOT Cranes & EOT Cranes Double Girder / Single Girder, Foot Mounted & Wire Rope Hoist. We provide wide array of HOT Cranes & EOT Cranes Double Girder / Single Girder that are well known for their impeccable performance. Our Semi Goliath Cranes, Pallet Truck & Crane Duty Gear Boxes come with features like reliability, durability & sturdiness. Foot Mounted & Wire Rope Hoist are some of our best selling products. Along with that we offer DSL Bus Bar & Safeline W For Bus Bar Systems. We are specialized in offering Goods Cage Lifts & Compact Shrouded Conductor Bus Bar Systems.